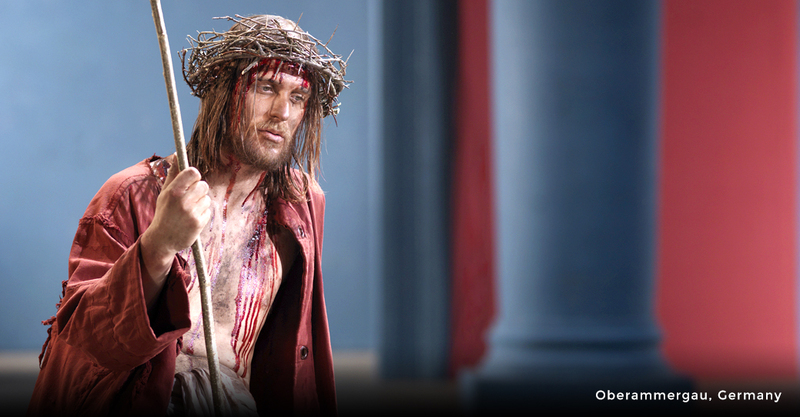 The story behind the Oberammergau Passion Play is one of faith, and began with a miracle. In the 1600’s the deadly disease known as ‘The Black Plague”, struck down one in every three persons throughout Europe, leaving in its wake untold misery, panic and death. The little village of Oberammergau was, of course, also threatened. The townspeople prayed to be spared, vowing that they would present a play depicting the Life and Passion of Jesus Christ every 10 years. Those who were struck down with the disease soon began to miraculously recover, and only a few people died in Oberammergau. 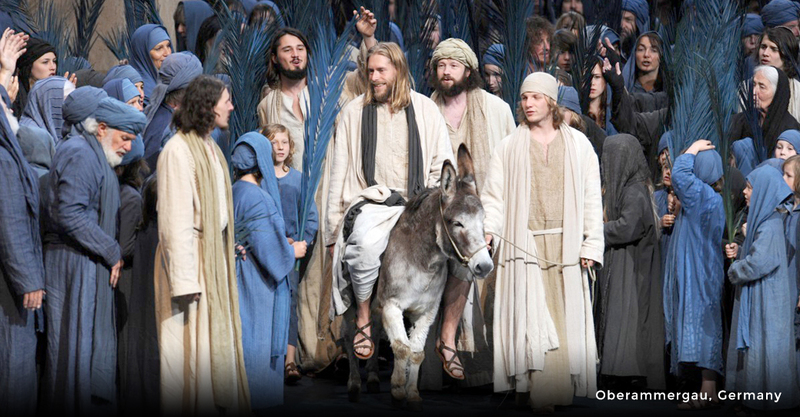 True to their word, the villagers of Oberammergau presented their first Passion Play in 1634-a small performance that took place out in a meadow. Over the years, they have kept their pledge and their routing of plays has only been interrupted by the two World Wars. 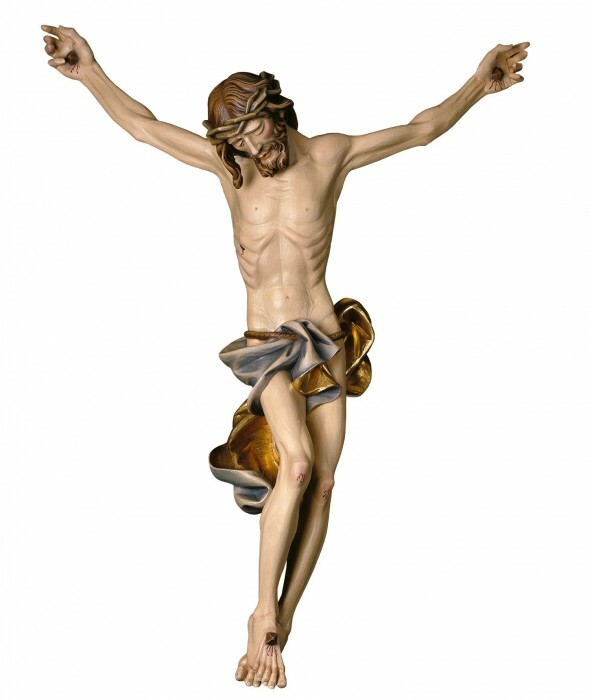 Today, the Passion Play is enacted on an open-air stage set against a magnificent mountain background. The covered auditorium seats 5,200, the play’s verse and music were produced by local artist, as are the elaborate stage settings and costumes. More than 1600 villagers have participated in the performances and it is considered a special honor to play one of the lead roles. Only people born in Oberammergau, and who are in good moral standing, are permitted to perform. For the Oberammergauers the play is a labor of love. They receive no reimbursement for their time and devotion. And, although the Passion Play has achieved international fame, the complete sincerity of the Oberammergauers has never diminished. Their vow is still fresh in their minds! It is with great pride and anticipation that they are now preparing their presentation for the very special 2020 Passion Play Performance. Further information on The Passion Play, please contact us soon for specific itineraries and dates! © Copyright 2019 Inspirational Tours | All rights reserved.